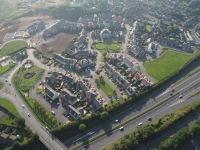 Ballantine Garden Village is located on the Hillhall road in Lisburn Co. Antrim. 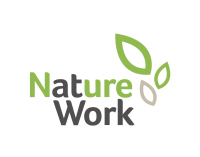 Nature at Work have carried out all the landscaping work on this residential site for W.J. Law. The project consisted of thoughtfully designed hard and soft landscaped elements to complement the residential high specification development, we also provide an ongoing maintenance service for the communal areas. The scope of works included landscaping each properties front and back gardens. 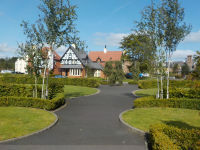 Large communal greens and a formal patio garden to the front of the site incorporating black limestone paving. We have also installed various seating areas around the site. 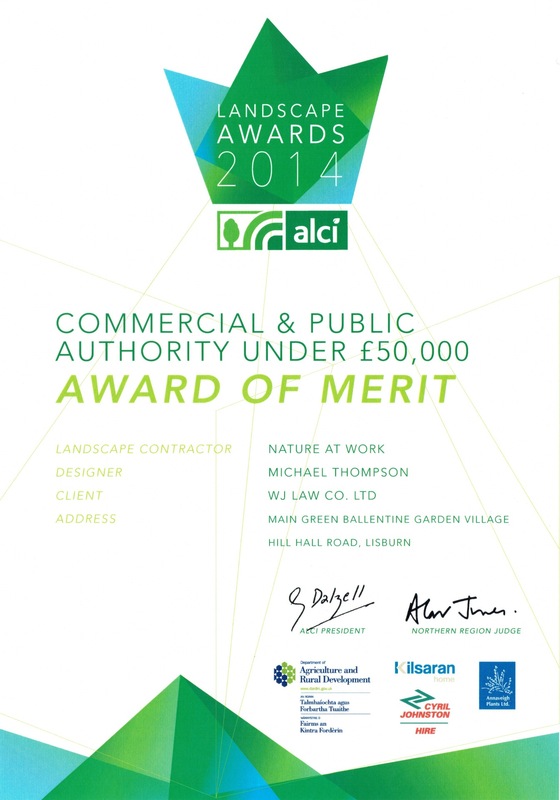 We received an ALCI award of merit for the landscaping carried out at the front of the site.